Yummy fresh summer soup … made with tea of course! Here we are again at midsummer. There are so many beautiful fruits and vegetables in our gardens and in the farm markets — the bounty can almost be overwhelming! If you have a vegetable and herb garden, pick each one just before you’re going to use it so it’s at its freshest and tastiest. Don’t have a garden, or grow only a few kinds of fresh produce? Then pay a visit to your local farmers’ market. If you’re not sure what to buy first, may I suggest corn? The season for fresh corn runs from about mid-summer to the end of September depending on where you live. Take advantage of its availability while you can, and this soup is good start. No cooking is required, and once you prepare the vegetables you can just toss everything into the food processor. There are tools designed specifically for removing kernels from an ear of corn, but we find that our method works just fine: break each ear in half, hold upright on a cutting board, and cut straight down with a very sharp knife as close to the cob as possible. I prefer yellow or bi-colour corn for this recipe; I thought white corn was too sweet and less flavourful, but make your own decision. 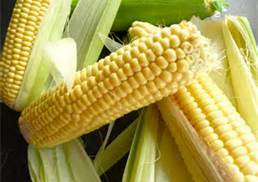 Some folks think eating raw corn is scandalous, tho’ I often prefer raw to cooked so long as the corn is fresh and the sugars haven’t turned to starch. The kernels fairly burst with flavour! After fixing and enjoying this soup, try tossing raw corn kernels into a salad of tomatoes and cucumbers for another delicious way to enjoy summer in a bowl :-). Combine two cups of corn with the water and tamari in a food processor or blender. Process for a minute or so until you get a somewhat chunky purée. Add the bell pepper, herbs, and remaining corn and process for another thirty seconds. Add salt and pepper to taste, then process for another ten seconds or so to blend in the seasonings. Serve immediately, or store in an airtight container in the ‘fridge for one to two hours and serve chilled. 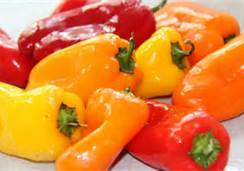 > Garnish with halved cherry or grape tomatoes, or with a sprinkling of additional parsley, cilantro, or a mixture. > To make this soup into a light meal, top each bowlful with about 1/4 cup cooked and cooled edamame (green soybeans). You can find these in the freezer section of your supermarket or natural food store, and sometimes they’re available fresh in Japanese groceries. Cook in boiling water or broth for five minutes; if they’re in the pod remove the pods after cooking. > Spice things up by adding a small jalapeño pepper with the bell pepper. This variation was a big hit! I always enjoy giving and receiving gifts that are wrapped so beautifully or charmingly that you almost don’t want to open them. (I said almost.) And I like to drink tea while I’m busy wrapping. Read the entire article at English Tea Store blog. This is the second of the two Taiwan oolongs I recently sampled via English Tea Store. The first tea, Formosa Oolong Estate, which I reviewed on October 16, was a darker, more roasted type of oolong. 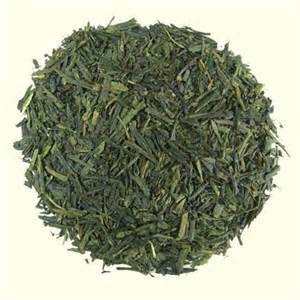 Spring Pouchong is from the other end of the spectrum; namely, a greenish, flowery oolong. And while I enjoyed the Formosa Oolong, this tea much more closely suits my taste. Read the entire review at English Tea Store blog.